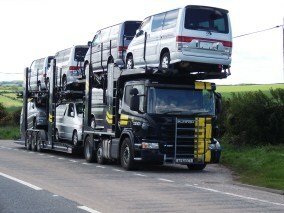 Stunning looking car - real head turner!! 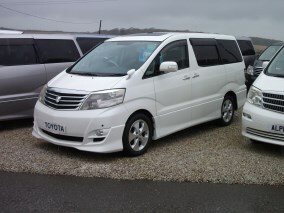 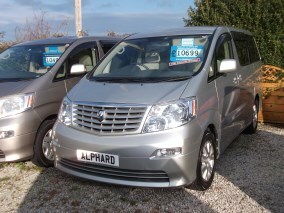 This is a beautiful example of the newly arrived Toyota Alphard in stunning Pearlescent Grey with only 49k miles, Automatic, Alloy Wheels, Charcoal Velour Interior, Remote Central Locking, 8 seater with swivel Captain Seats, Black Wood Dash and Steering Wheel, 4 x Electric Windows, Privacy Glass, Power Steering, Electric Folding Mirrors,totally immaculate! 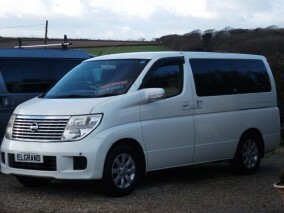 Stunning example in Pearl White, 2.4 with 64,000 miles,Alloy Wheels, 8 Seater, Velour Interior, Swivel Captain Seats,5 Doors, Electric Windows, Electric Folding Mirrors, Electric Rear Opening Windows, Air-conditioning, Arm Rests all round, very comfortably luxurious vehicle. 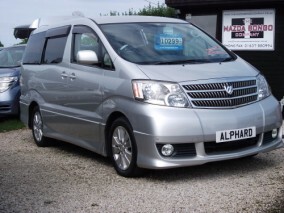 This vehicle comes in Metallic Graphite Grey with Charcoal velour interior only 67k, late 2005 model complete with Aero bodykit, Alloy Wheels, Electric windows, Privacy glass, Electric Mirros, Air-conditioning, Front and Rear Heating, all the usual Aero refinements! 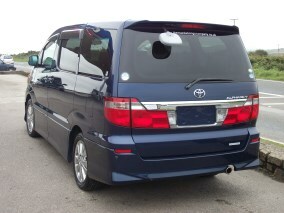 2003 Toyota Aplhard in Blue Pearl Metalic Paintwork, 61k miles, Alloy Wheels, Black Velour upholstery, Radio/CD, 4 x Electric One touch Windows, Power Assisted Steering, Privacy Glass, Front and Rear heating, Reversing camera, 8 seater MPV/Campervan, Armrests/Headrests, Swivel seats, Aero model, Aero bodykit, stunning looking car! 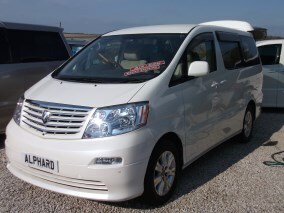 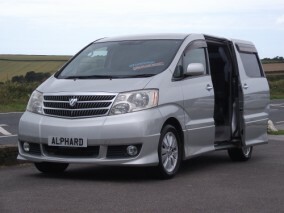 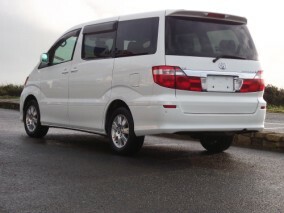 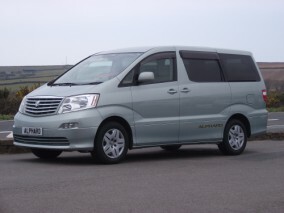 A beautiful example of our new Toyota Alphard with only 49k miles, Alloy Wheels, Captain Seats, Privacy Glass, Electric Windows, PAS, Reversing Camera, Electric Folding Mirrors, beautiful Beige interior totally immaculate - let's go camping!!! 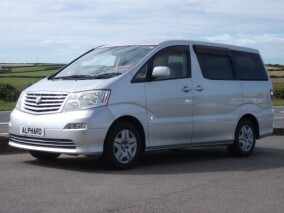 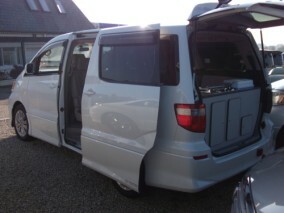 This is a stunning example of the newly arrived Toyota Alphard in Silver metallic only 56k miles, complete with Elevating Roof and Conversion, Alloys Wheels, Charcoal interior with Black wood trim, Electric Front and Rear Windows, Privacy Glass, PAS, Electric Folding Mirrors, 2 Rear Sliding Doors Elevating Roof, Sleeps 4, immaculate condition, Full MOT and warranty. 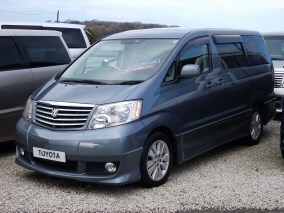 This vehicle is complete with Conversion that maintains 5 Toyota original seats allowing to use as an every day vehicle as well as a Camper! 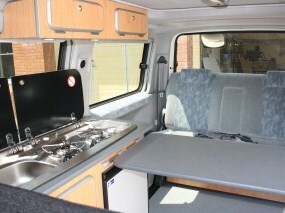 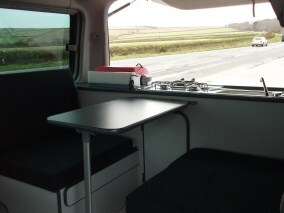 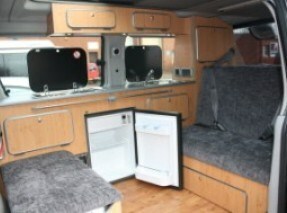 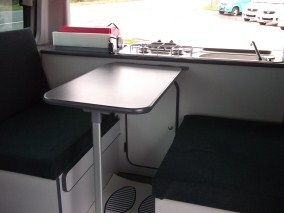 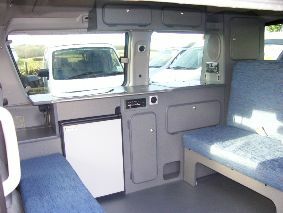 Comes complete with beds, 8 seats, tables and full electric blinds plus much more! 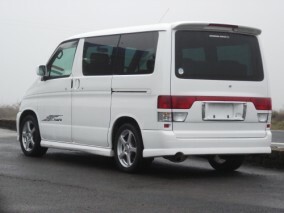 2005 Nissan Elgrand with Black Pearl Cyrillic (Chameleon) Paintwork, fantastic looking car with only 50k miles totally immaculate as new! 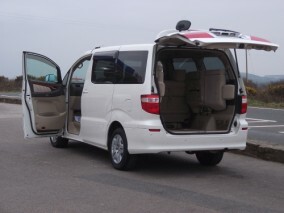 Comes with Reversing & Side Cameras, Folding Electric Mirrors, 2.5 Eco Engine, Electric Windows, 8 Seater, Easily adapts into camper - sleeps 2, Cream unmarked interior, Wood Trim, Air-Conditioning, Power Steering, 2 x Side Doors. 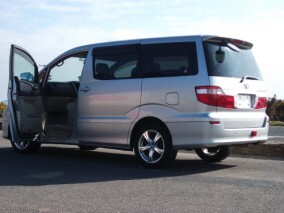 Nice cruising car, very comfortable. 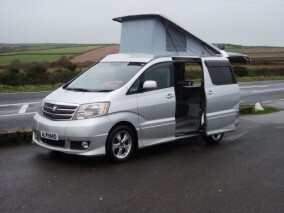 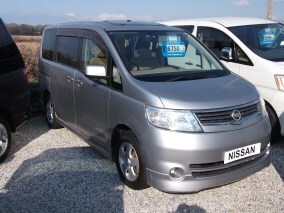 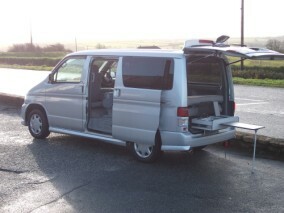 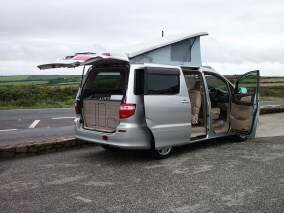 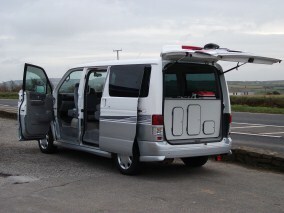 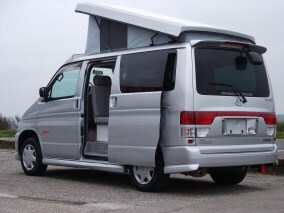 Mazda Bongo Tin Top New Shape 2003 2Ltr Petrol in Grey Metallic a lovely looking vehicle. 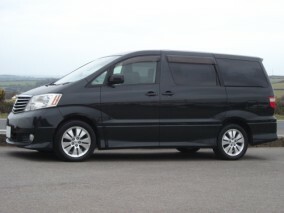 74k miles. 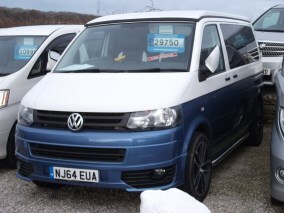 Comes with Climate Control, Power Assisted Steering, Central Locking, Electric windows and mirrors, Auto-box, C/D, Blinds, 8 fully adjustable seats, 2 berth sleeping, very clean and in immaculate condition. 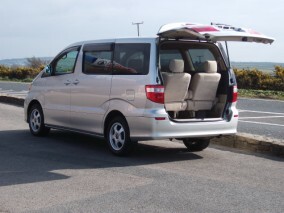 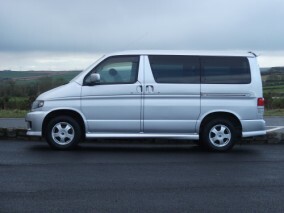 Mazda Bongo 2.5 V6 in stunning Star Silver, Full MOT and Tax, comes complete with Aero bodykit, Alloy wheels, Electric Windows, Electric Mirrors, Electric Blinds, privacy glass, Power assisted steering, 8 seater MPV, picnic tables, central locking, Radio/CD. 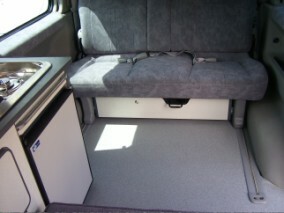 This vehicle can adapted with any of our conversions or roofs to your own specifications. 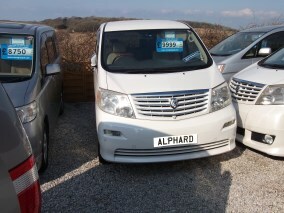 A stunning Pearlescent Burgundy Toyota Alphard, 37k miles, Automatic, Beige Velour Interior, 8 Seater with Alloys wheels, PAS, ABS, Swivel Captain Seats, Wood Trim and Steering Wheel, Electric Front & Rear Windows, Privacy Glass, Armrests, Headrests, Rear Wiper, immaculate condition very rare colour! 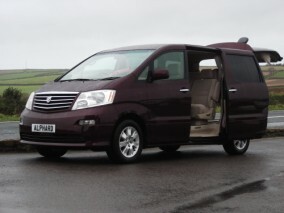 Stunning looking vehicle with only 52k miles, 3lt, 8 Seater, Tan Velour Interior, Wood dash and trim, Electric Front and Rear Windows, Privacy Glass, PAS, Two Side Loading Doors, Swivel Seats, Electric Folding Mirrors, Rear Wiper, High-line Brake Light immaculate condition complete with Full MOT and warranty. 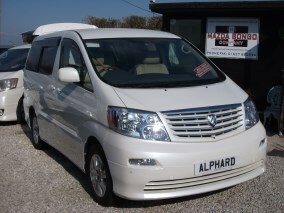 A beautiful example of our new Toyota Alphard in Pearl White with only 62k miles, 04 Reg, Alloy Wheels, 8 Seater, AirCon, Captain Seats, Privacy Glass, Electric Windows, PAS, Electric Folding Mirrors, Front and Rear Heating, 2 Berth, beautiful Beige Alcantara interior totally immaculate, Full MOT and Warranty. 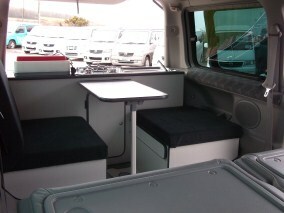 Let's go camping - summer's on the way! 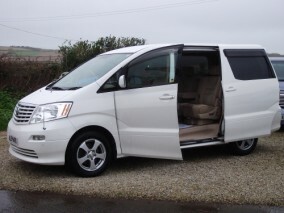 Beige Velour Interior, Beige Carpets, Privacy Glass, Armrests, Cupholders, 4 x Electric Windows, Captain Seats, Electric Mirrors, Rear Wiper, 69k miles, Superb looking car! 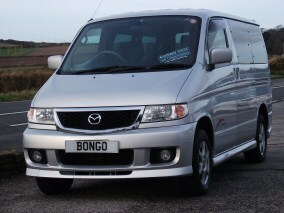 Many more Bongo's in stock!!! 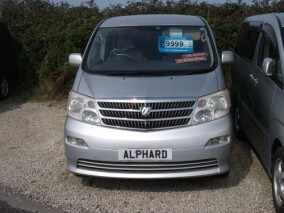 2003 Toyota Alphard 2.4 4x4 in Silver Metallic, Alloy wheels, Beige Velour Interior, Beige Carpets, Privacy Glass, Armrests, Cupholders, 4 x Electric Windows, Captain Seats, Electric Mirrors, Rear Wiper, 59k miles, Superb looking car! 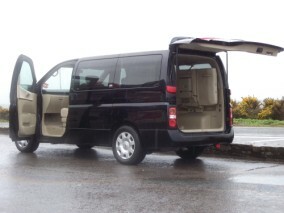 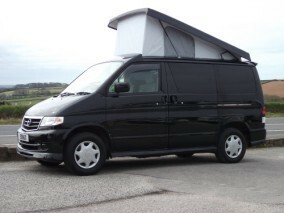 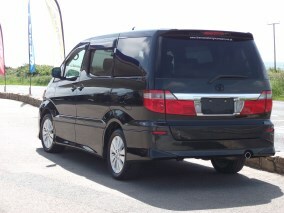 Mazda Bongo Aero in stunning Black, Comes with Full Aero Bodykit, superb looking vehicle with all the usual Aero extras! 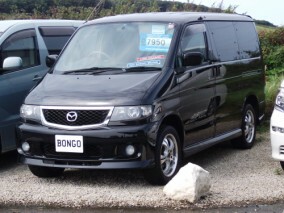 Low mileage, Front & Rear heating, Electric Windows, Electric folding mirrors, Electric blinds, Climate Control, ABS, PAS, Aero upholstery, Privacy glass, Full Aero Bodykit plus much more on this excellent Bongo!Stunning colour, superb condition JUST ARRIVED !!!!! 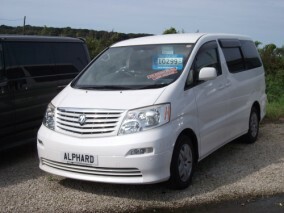 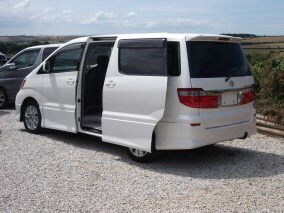 This is a newly arrived 2003 Toyota Alphard in stunning Peppermint with only 51k miles, Automatic, Tan Velour Interior, Remote Central Locking, 8 seater with swivel Captain Seats, 4 x Electric Windows, Privacy Glass, Power Steering, Electric Folding Mirrors, totally immaculate! 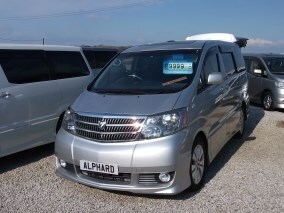 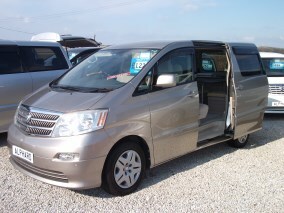 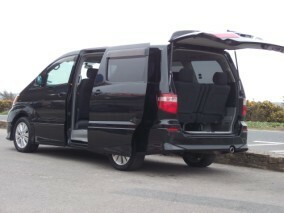 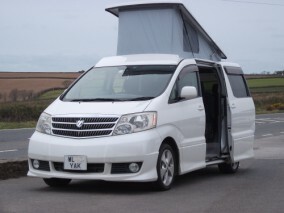 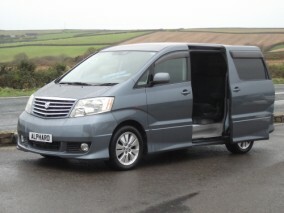 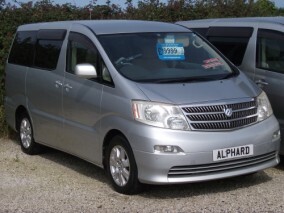 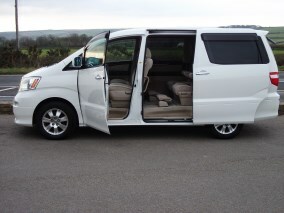 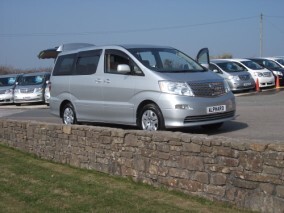 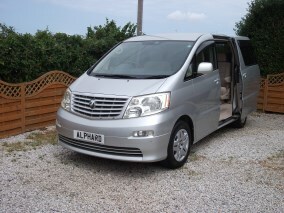 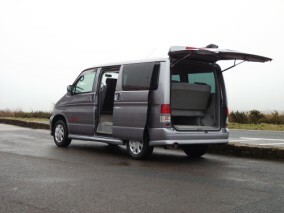 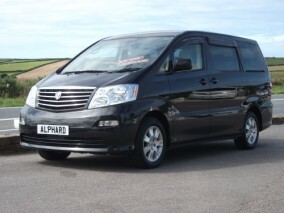 If you are looking for a comfortable luxury 7 seater vehicle - then take a look at this one!!! 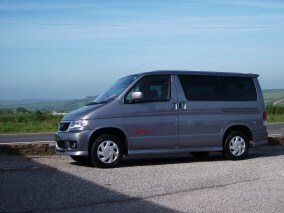 Mazda Bongo Aero 2lt Petrol in Graphite Grey metallic, Comes with Full Aero Bodykit, superb looking vehicle with all the usual Aero extras! 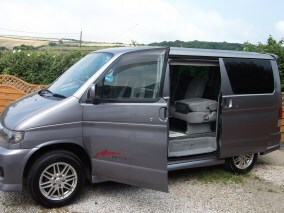 Front & Rear heating, Electric Windows, Electric folding mirrors, Electric blinds, Climate Control, Ice lights, ABS, PAS, Aero upholstery, Privacy glass, Full Aero Bodykit plus much more on this excellent Bongo! 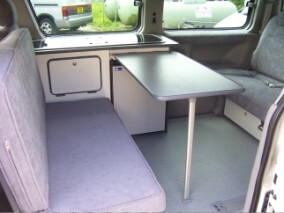 Comes with full MOT and warranty. 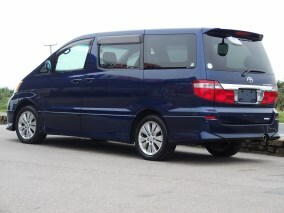 Stunning colour, superb condition JUST ARRIVED !!!!! 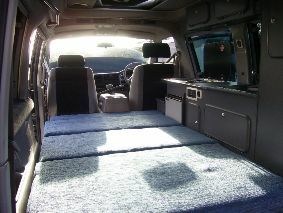 This vehicle can easily be adapted into elevating or dome roof! 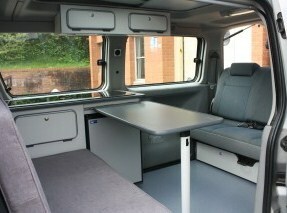 FULL RANGE OF BESPOKE CONVERSIONS AVAILABLE! 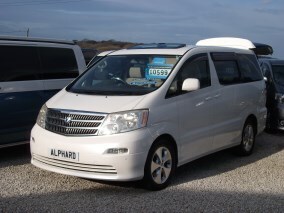 A beautiful example of our new Toyota Alphard in Pearl White with only 45k miles, complete with Alloy Wheels, Tan Alcantra upholstery, 8 Seater, AirCon, Captain Seats, Privacy Glass, Electric Windows, PAS, Electric Folding Mirrors, Front and Rear Heating, 2 Berth, beautiful Tan Alcantara interior totally immaculate, Full MOT and Warranty. 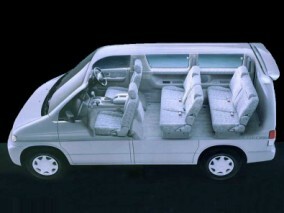 7 seater, Electric Windows, Privacy Glass, Charcoal Velour Interior, Air-conditioning, Electric Mirrors, PAS, Remote central locking, 2 Side Closing Door. 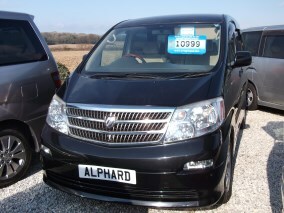 This beautiful looking 2.4 Toyota Alphard in a stunning Bronze Metallic comes complete with rear conversion with 66,000 miles, Tan Velour interior, Electric windows, Air-conditioning,PAS, Electric Mirrors, 2 side sliding doors, Remote Central locking, Radio, Rear Wiper, Rear conversion. 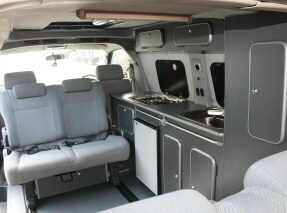 This vehicle is ready to go camping - bring on the sun!!!!! 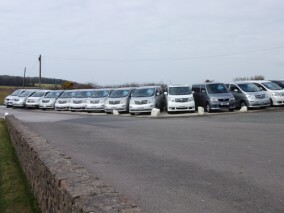 Many more in stock - New stock arriving daily!!!! 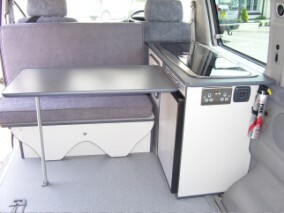 Hurry as this colour combination is very desirable!! 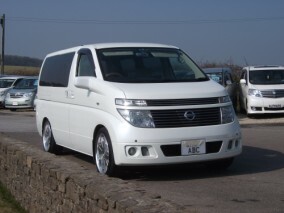 ........... this is a very popular conversion!! 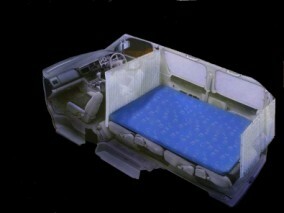 The double sized sleeping, downstairs.